Leading Aircon Servicing, Air-con Repair, Chemical Clean & Installation Company: How To Do Spring Cleaning For Aircon? Cleaning your air conditioning unit regularly is absolutely essential, because it allows you to have a properly running unit that uses less energy. This, in turn, allows you to feel more comfortable all the year round while saving you a lot of costs. The most appropriate time for cleaning an aircon is the spring. Once you see the spring flowers beginning to bud, you should expect the baseball season that follows your dependence on the air conditioner. Regular maintenance of your unit during the spring increases your odds for a relaxed, comfortable summer. It’s imperative to perform a comprehensive check of your exterior aircon unit. Most of them boast two units, and you’ve to give both sections a thorough cleanup. Make sure you clean them with attention to detail. Similarly, some owners often cover their outdoor units amid the months of winter for additional protection. If you’re one of them, detach this cover prior to sweeping away any debris that might have accumulated over time. Inspect the entire unit for apparent signs of damage. Pay special attention to the unit’s wires and tubes for possible breaks or deterioration. 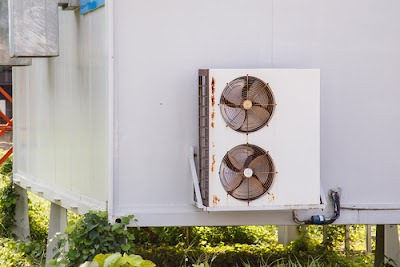 A number of air conditioners boast a shutoff box on their external portion, just in a close proximity to the unit itself. It’d be wise for you to pull out your unit’s shutoff box, along with its fuse for a thorough cleaning. For air conditioners with no shutoff box, you’ll need to find the circuit breaker panel controlling your unit and turn the power off. Make sure to clean dirt off the blades using a whisk room or rag, prior to incorporating the use of a shop vacuum in cleaning the dirt off the shaft and fan motor. If your motor is designed for lubrication, make sure you apply a little amount of oil to each one of your unit’s lubrication ports. Shut off the power to the air conditioner condenser unit. It’s usually located on the external portion of the unit. If you’re not sure where the switch is situated, consider checking the manual to the unit for verification. Typically, the fins on the condenser look somewhat identical to blades. The fins often pull dirt and debris as they draw air through them. The debris may accumulate to a certain level, hence reducing the normal flow of air to the unit. This, in turn, reduces the capability of your air conditioning unit to cool the entire home. 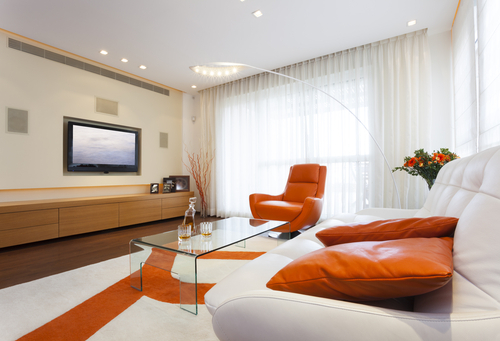 Sometimes you may need to utilize a vacuum so as to get rid of dirt and debris. Be sure to use a rather soft brush attachment, though. Remember, fins on the condenser can be bent with absolute ease. Check your unit’s manual on the requisite procedure for detaching the cover. Experts suggest that you should utilize a screwdriver to remove the screws, but make sure you put them on a safe, secure place while at work. If you realize the fins have a major damage to them, contact a professional expert to help you replace or repair them. On the unit’s main electrical panel, switch off the power to the furnace. Go through the manual for more assistance on the best way to extract the cover to the blower. Remove the filter from furnace and verify whether there’s dirt and debris inside. Replace all clogged filters and clean up the evaporator to evacuate dirt and debris. Inspect all the coil fins, just in case there’s damage. Make sure to comb straight all bent coil fins. Do not use any comb, though. Consider using a special fin com that’s designed exclusively for the task. If you don’t have one, it’s available at your nearest aircon supply store. Go grab one to accomplish a decent work that will last for an extensive period of time, probably throughout the summer. While the indoor unit of any central air conditioner doesn’t ordinarily accumulate grass clippings, leaves and debris (as is the case in the outdoor unit), it’s still important to clean and maintain it. Check the evaporator coil and projections alongside an assembly of tubes, and vacuum off the dust that may have accumulated during the winter. A pan that traps moisture condensation from the aircon coils is often mounted beneath the evaporator coil. The supposed pan encompasses a tube that drains the water into a sink or floor drain. It’s imperative to check and verify the pan for any signs of corrosion, which could result in leaks. Ensure that the tube isn’t clogged. To successfully accomplish this job, pour some water into the pan and ensure that the water drains appropriately. Keep in mind that a cleaner should be sprayed from the outside. Allow it to soak for at least 15 minutes. You may need to re-apply the cleaner, prior to giving it a second application soak that lasts another five minutes. Cover all the motors and electrical wires with plastic before spraying your air conditioning unit. After you’ve checked this, consider cleaning your AC filter thoroughly and with attention to detail. Disposable filters ought to be replaced. Refer to the manual for more instructions concerning the filters, in addition to the proper tips to clean and maintain them. After checking through the whole system and replacing the cover to your evaporator, restart the unit. Make sure you’ve cleaned and inspected both units before testing your aircon system. Make sure you’ve properly flipped the breaker as well. If everything is fine, set the thermostat to a cool setting. The outdoor unit should be able to run smoothly and effectively. It should maintain a cool air flow into your home. If you realize that your aircon unit is running smoothly as is required, you’re absolutely prepared to enjoy utmost comfort in your home all through the summer. 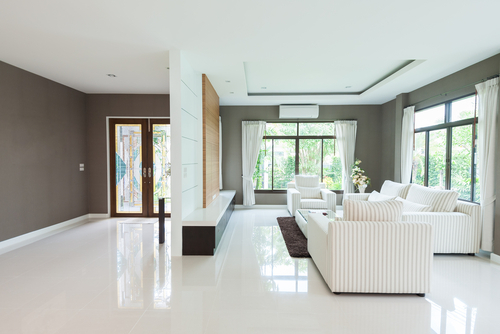 This simple spring cleaning, aircon maintenance is crucial. It helps in minimizing problems with your air conditioning unit, ensuring better efficiency throughout the season. For units that require more extensive servicing to function smoothly and efficiently, call your aircon professional to rectify those issues. It will reduce those headaches you’re probably having when the air conditioning system isn’t functioning its best. Most air conditioning repair companies supply a warranty that ensures you’re protected against unexpected high repair and maintenance costs.